Even if you work hard to build a successful career, there may still come a time when you find yourself in a rut. It happens to the best of us, but it can be a frustrating and discouraging time in your career. If you’re currently feeling stuck, it could be due to any number of reasons. Maybe you feel like you’ve stopped growing professionally. Perhaps you finally obtained your dream role only to realize it’s not anything you thought it would be. Or maybe your work-life balance is suffering, and you’re constantly feeling stressed about your job. Whatever your reasons for landing in career limbo, know that you’re not alone; nearly one-third of us feel like we have reached a dead end in our career. 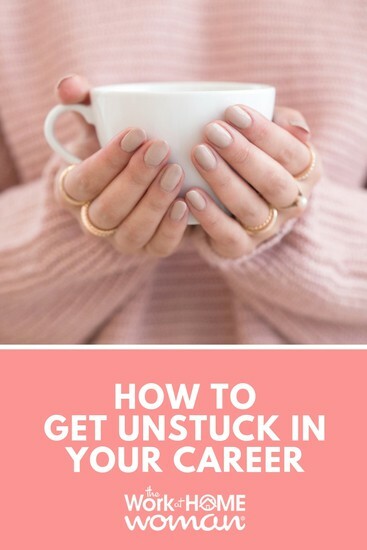 The good news is you can absolutely get unstuck in your career! Here are seven strategies that could be the key to changing that brick wall into a window of opportunity. Thanks to the internet, it’s easier than ever to find and nurture new networking relationships. Even something as simple as having a more focused presence on LinkedIn can help nurture your professional network. Start by accepting those connection requests. Then reach out to others in your industry with a personal note instead of the uninspired default message, “I’d like to join your LinkedIn network.” That simple extra effort will make you stand out to the person accepting your request. But it’s not enough to just add people. Connect with your contacts by keeping your status updated. Comment and like your connections’ posts. Staying active keeps you top of mind to everyone on your contacts list. Perhaps it even opens up a conversation that could lead to a new opportunity. Even Facebook groups can be a valuable cache of new contacts if you join the right ones. But again, you need to become an active participant in these groups to establish relationships. Outside of the virtual world, you can build your network by attending events and conferences in your industry. Sometimes the best opportunities are right next door! As ambitious career-women who like to forge our own path, asking for help is usually the last thing we think of doing, but it should be the among the first! If you find the right person to get guidance from, they can lend an invaluable new perspective or approach to fast-track you out of your career rut. That help could mean finding a mentor or investing in a career or business coach, especially if you are thinking about starting a new business. But getting out of a career rut doesn’t necessarily mean you have to leave your job. If you enjoy your industry and company but feel like you’ve stopped growing, set up a meeting with your manager and talk it out with them. Your manager has no reason to think you aren’t happy if you don’t tell them! If they value you, they will work with you to find a solution. Step back and gain some perspective on your career situation. Think back on your career path up to this point; every job you’ve had, companies where you’ve worked, and people with whom you’ve worked. Write each of them down as bullet points in a journal. Then reflect on each bullet point. What are the highlights? The lows? Why did you make the choices you did while in that role? What would you do differently if you had to work with that person or company again? Write down all your thoughts. Then see if you can identify common themes. The exercise will lend some fresh perspective that can provide direction on the future of your career path and shed light on how to get unstuck. Keep in mind that negative-thinking can play a huge role in your career woes. If you have a grim outlook on your career prospects, it could be a self-fulfilling prophecy. So even if you’ve had negative experiences in the past, practice focusing on the positives. Optimism can help you identify new opportunities – and give you the courage to pursue them. 4. Work on Personal Growth. Even if you can’t leave your current role for financial reasons, that doesn’t mean you can’t keep growing professionally. Never stop learning! With online education so readily accessible, it’s easier than ever to learn new skills. Set a goal for yourself to learn one new thing every week or month, or take a continuing education course. These could be courses that teach you a new skill or help you develop professionally through personal growth. It doesn’t necessarily need to be related to your industry. Learning something in a completely different industry could be just what you need to unlock a brand new direction for your career path. If you’re on a budget, there’s a ton of free information on the internet. You can even teach yourself new skills using YouTube tutorials. Other low-budget options include reading books and listening to educational podcasts. Choose something you’re interested in and get studying! 5. Bring Self-Care Back into Focus. 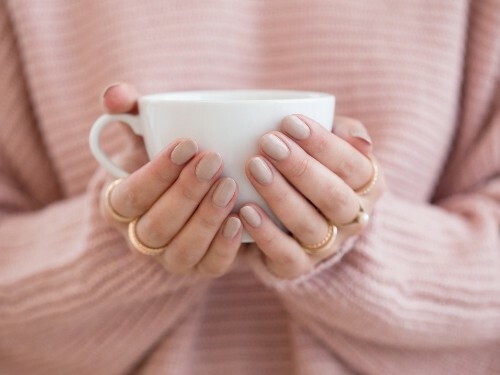 If you’re stuck in a rut, there’s a good chance you’ve put self-care on the backburner. Yet, research shows that self-care facilitates success. So if you have put your career before yourself, you’ve been putting the proverbial cart before the horse. One of the reasons you’re in a career rut could be because you’ve been burning the candle at both ends, and now you’re too burnt out to do anything about it. Look after yourself physically and mentally, and it will help you face all challenges in life better, not just in your career. Prioritizing your self-care doesn’t need to involve big changes, either. Focus on easy acts of self-care like meditating for 10 minutes, going for a walk around the block, hitting a spin class, eating a salad for lunch, journaling in the morning, or even taking a few minutes to snuggle your cat. It all adds up to a healthier version of you that’s primed for success. It could be time to shake things up, either by taking on an entirely different project at work, leaving your job for a different industry, or starting your own business. You may not be in a position to quit your job to start something new. But that doesn’t mean you can’t take steps toward a new goal while you’re at your current job. Starting a side-hustle is a great way to explore a new career path without impacting with your income. Building a business while working full time can be a challenge, but if it gets you to a better place in your career for the long-term then it’s worth it! 7. Step Out of Your Comfort Zone. The reality is that getting out of a career rut is going to involve stepping out of your comfort zone to some degree. Even when your work isn’t fulfilling, it can seem easier to stay with what’s familiar than to make a change. It all comes down to fear. It’s totally normal to feel some fear when faced with making a change. But many people let those fears hold them back from acting. Be honest with yourself about what you’re afraid of, whether it be fear of judgment, disappointment, failure, or something else. Acknowledging and analyzing your fears will give you the power to deconstruct them. And once you’ve removed those internal walls, you’ll be free to find the work that truly fulfills you! When I stepped outside my comfort zone and working to achieve greatness and side hustle millionaire status, I can truly say that “growth is painful,” but all worth doing the transformation work out of desperation or inspiration.